Signs of a termite infestation usually do not occur until the infestation has reached a severe level. To minimize damage, make sure to call Pest Solutions 365 for a professional inspection and estimate when you notice any warning signs. Only $25 for a 20-minute inspection. A short-lived swarm of winged insects in your home or originating from soil near your home. Discarded termite wings, similar to clear fish scales. Sagging walls, similar to one might see from water damage. Water leakage from faulty sprinklers. Leaks in plumbing or roofs. Controlled temperatures from heating and air conditioning systems. Comfortable environments help termites and rodents to thrive all year round. Cracks and holes provide termites and all other pests their own personal entryway into your home. 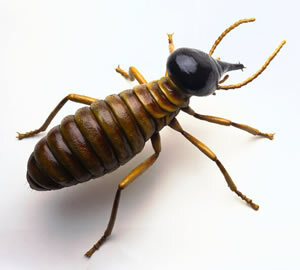 Termites and pests can also be delivered right to your home through packages packaging and furniture. When it comes to termites, out of sight doesn’t always mean out of mind. Signs of a termite infestation are difficult to spot, and many termites tunnel hundreds of feet to reach a home or feeding site.